Vintage Raleigh Lugged Steel Frame and Fork. 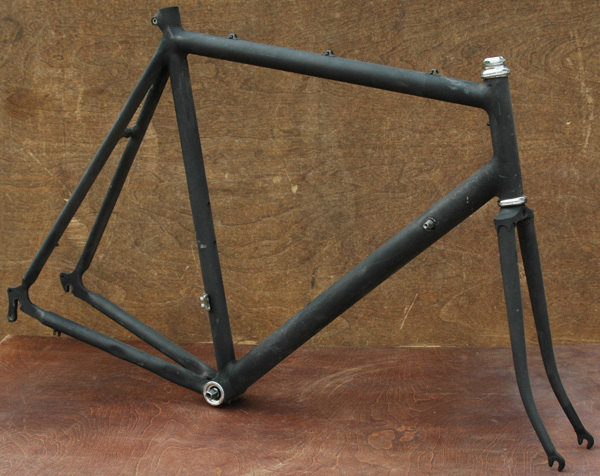 Tiny Frame, this Road Bike frame is is 48.5 cm center to center or 50cm center to top of top tube. Small Size Frame and Probably will fit some one 4’9" to 5’5". 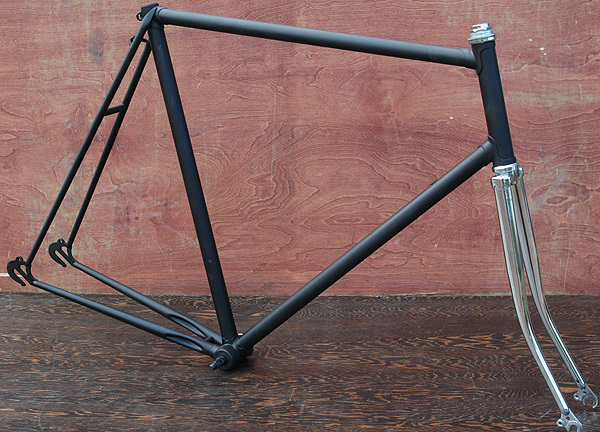 This Vintage Bike is a Lugged frame with Forward sloping Dropouts that is perfect for a Single speed Fixie. Cool Clean and Flat Black paint, What’s there is Rebuilt, Repacked, and Ready to Assemble. Square Taper Bottom Bracket. Yours for $150. Vintage Motobecane Mirage Lugged Steel Frame and Fork. 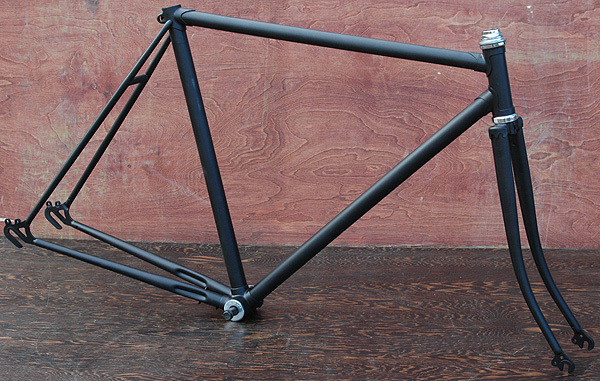 Small Frame, this Road Bike frame is is 51.5 cm center to center or 53cm center to top of top tube. Small Size Frame and Probably will fit some one 5’1" to 5’7". This Vintage Bike is a Lugged frame with Forward sloping Dropouts that is perfect for a Single speed Fixie. Clean Flat Black paint, What’s there is Rebuilt, Repacked, and Ready to Assemble. Square Taper Bottom Bracket. Yours for $150. Vintage Tour De Monde Lugged Steel Frame and Fork. 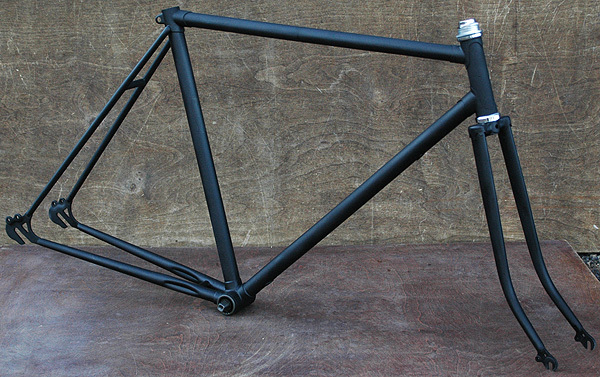 Small Frame, this Road Bike frame is is 51.5 cm center to center or 53cm center to top of top tube. Small Size Frame and Probably will fit some one 5’1" to 5’7". 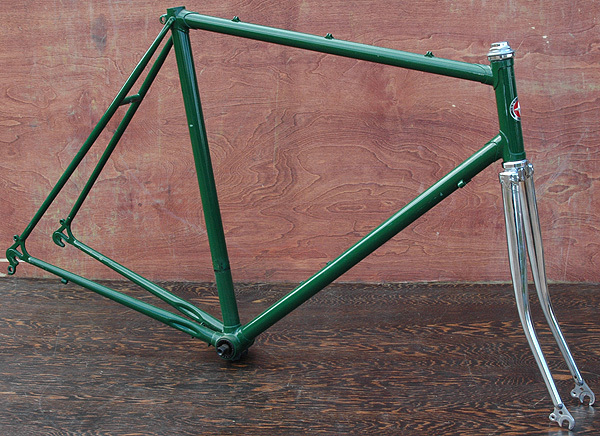 This Vintage Bike is a Lugged frame with Forward sloping Dropouts that is perfect for a Single speed Fixie. 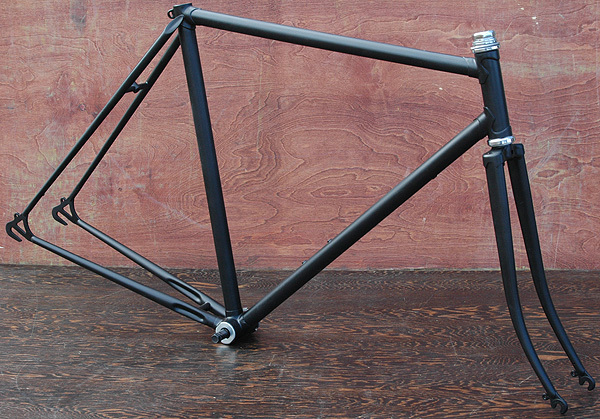 Clean Flat Black paint, What’s there is Rebuilt, Repacked, and Ready to Assemble. Square Taper Bottom Bracket. Yours for $150. 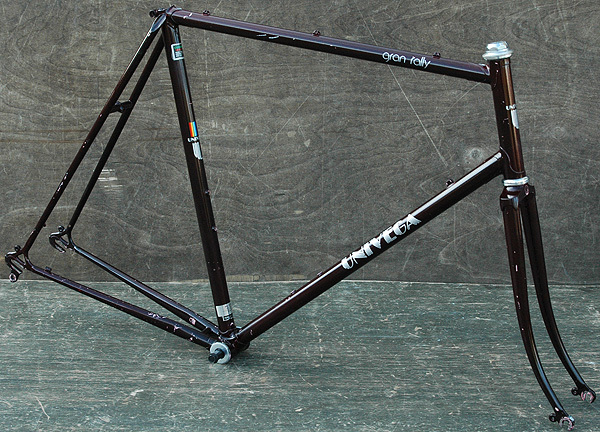 Vintage Canondale Aluminum Frame and Steel Fork. 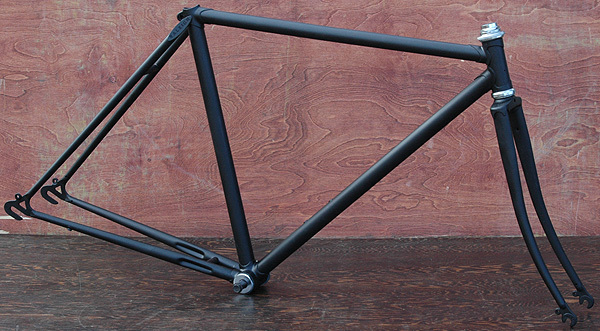 A Large Frame, this Road Bike frame is is 60 cm center to top of top tube. Stamped 60 cm .Large Size Frame and Probably will fit some one 5’10" to 6’4". 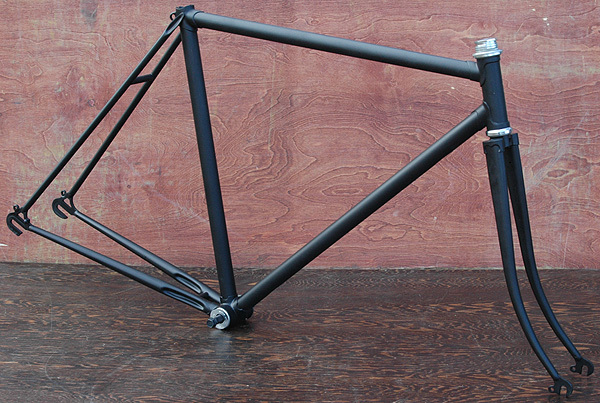 This frame does not have Forward sloping Dropouts and will require a half link or Chain tensioner. Flat Black paint, What’s there is Rebuilt, Tange Headset & Campy Bottom Bracket, Repacked, and Ready to Assemble. Square Taper Bottom Bracket. Yours for $185.